Cleveland Cavs | Bring Your "A" Game Sports Talk! Cavaliers All-Star Kevin Love suffered a partially torn ligament in his left thumb late in Wednesday’s win over the Pacers, Brian Windhorst of ESPN.com reports. Love left the game with just fewer than four minutes remaining in the Cavaliers’ 100-97 victory. 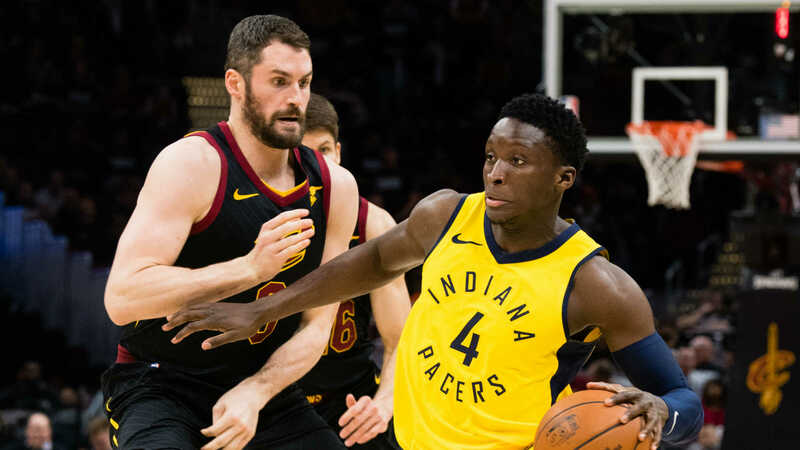 The injury happened when Love deflected a pass from Victor Oladipo. After a Darren Collison layup immediately following the deflection, Cleveland called a time out and Love was taken out. In his postgame interview, coach Tyronn Lue said Love will be “ready to go” for Game 3 on Friday in Indiana with the series tied at 1-1. In the three minutes and 43 seconds Cleveland went without Love to close the game, it basically played the Pacers even, although a meaningless Oladpio three at the buzzer meant Indiana outscored the Cavaliers 11-10 during that final stretch. Love missed 20 games earlier in the season with a non-displaced fracture in his fifth metacarpal in his left hand. Cleveland went 11-9 in those games and 4-5 against other playoff teams. Love is averaging 12 points and 12.5 rebounds through the first two games of the series while shooting eight-for-24 from the field and five-for-12 from deep.